Andy Samuel, chief executive of the Oil and Gas Authority, beside Pocra Quay, Aberdeen. 2018 has been a busy and encouraging year with many positive developments; the OGA continues to have a high focus on asset stewardship and clear expectations of industry. Today the UKCS produces over 1.6 million barrels a day, production efficiency has increased for a fifth consecutive year and efficiency efforts are being sustained. Oil and gas still accounts for about 75% of the UK’s primary energy demand with around 60% met by the UK Continental Shelf, providing substantial economic benefit to the UK in terms of jobs, innovation and tax revenues. 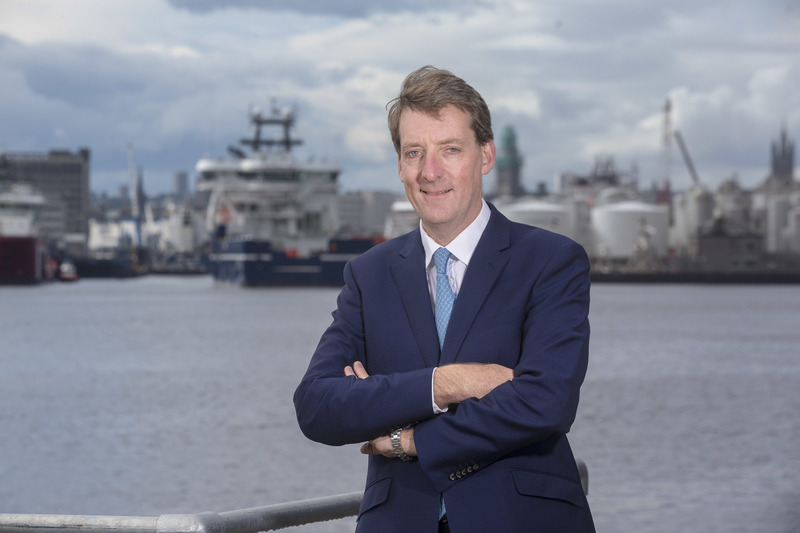 Therefore, it’s crucial our industry does not revert to old behaviours or lose the hard-fought efficiencies that are helping the North Sea compete for investment in an increasingly competitive world. There’s much to play for with significant potential resources estimated at 10 to 20+ billion boe which could sustain production for the next 20 years and beyond. The OGA’s Reserves and Resources Report published in October revealed a prize of 4.1 billion boe of prospective resources in mapped prospects and leads, along with a further massive 11.1 billion boe in plays. We are now forecasting an additional 3.7 billion barrels of production (boe) compared to three years ago, due to field-life extensions, infield reserve additions, enhanced oil recovery, new projects and new discoveries. This is a hugely valuable increase and great testament to the work of the ‘Tripartite’ – industry, the OGA and the Treasury – over the last three years. This year alone, we approved 19 field development plans and addenda, relative to 7 in 2017. These new developments are expected to bring c. half a billion barrels of new production with over five times the capital expenditure relative to 2017 – clearly most welcome work for our excellent service sector. Levels of exploration drilling have remained too low – with rig slots substituted and some operational issues leading to delays. However, a number of companies have had excellent success highlighting the significant value still be gained through the drill-bit. A good example is Apache’s Garten discovery which is already on production, only eight months from discovery. I have been pleased by the high interest shown in the 2018 offshore licensing rounds. The 30th (mature) Licensing Round delivered an impressive range of applicants, from super majors to new private equity backed companies with a number of firm well commitments. A strong and diverse set of applications were also received for our 31st (frontier) round, offering potential high-impact growth for operators. The OGA made unprecedented amounts of high quality seismic, wells, production, geological mapping and lessons learned data available to support industry through these rounds. We’re continuing to maximise the wealth of UK data, making it openly and transparently available for all to use. Our innovative new Open Data portal is the most popular area of the OGA’s website, with 57k users, allowing anyone to ‘cut and slice’ data to their needs. Next year, we are launching the UK’s first oil and gas National Data Repository, which should be a further ‘game changer’. Another highlight of the year, was seeing real, tangible results from our collaborative ‘Area Plans’ strategy whereby our ‘right assets/right hands’ and ‘use it or lose it’ approach with new partnerships is adding real value to the basin. The Eastern Central Graben Area Plan is now delivered with the Fram, Arran and Columbus field developments sanctioned, a tremendous achievement. Some of these fields were discovered decades ago and had struggled for a long time to be developed. Two years ago, Area Plans were a visionary concept, with the OGA establishing a plan, setting conditions and the timing to support industry to maximise economic recovery from this region. We’ve high hopes for our newest area plan in the Greater Buchan region which we launched in advance of the Supplementary 31st Offshore Licensing Round which opens early 2019. We’re asking oil and gas operators to work together to develop the estimated 150-300 million barrels of oil equivalent (mmboe) there. We held an information day in November which was oversubscribed, showing the high interest in this prospective area. Looking ahead, there are two concerns for next year, firstly, the need to sustain efficiencies and avoid a ‘Boom and Bust’ cycle as seen too often in the past. This is best done by building on the good work to date on efficiency, behaviours and new partnerships and business models. The second concern, is to substantially increase cost effective drilling, including improving the management of existing well stock and reducing well abandonment costs. This can be achieved by leveraging lessons learned, exploiting technology and working collaboratively through campaigns and with the supply chain to achieve major performance gains. Some operators are already doing this with excellent results. An OGA study of over 60 UKCS operators’ Technology Plans revealed that many existing technologies could be more widely adopted and that collaboration among operators on development is the key. We are seeing a good move towards transformational approaches through the Oil and Gas Technology Centre and others. There is a sense industry is finally embracing new technologies such as digital – the courage for companies to be the ‘first mover’ in new technologies is a vital component of achieving breakthroughs. Looking ahead, the UK’s offshore oil and gas industry can continue to make a vital contribution to the economy for many decades through the shared ambition of Vision 2035, which underlines the opportunity of adding an additional 3 billion barrels of production out to 2035 and to grow supply chain turnover by being a world leader in specific sub-sectors, doubling the UK’s share of exports to the global oil and gas service sector market.